Reserve your space today! Temple Athletics is now offering Temple Owl Club members exclusive premium parking options for the 2018 Football Season. As a benefit of membership, Owl Club members have the ability to purchase season parking passes for all Owl Club premium lots. 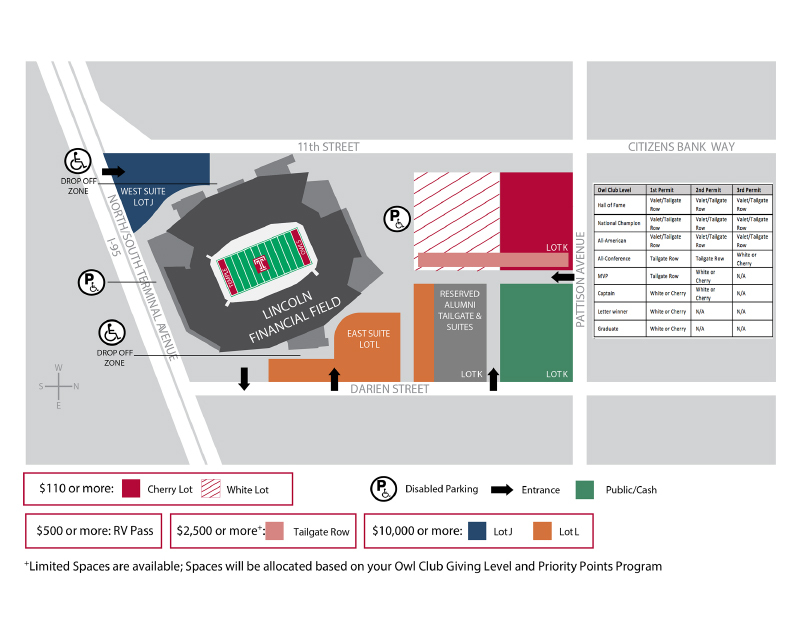 Offerings include the White Lot, the Cherry Lot, RV passes, valet parking and the best tailgating at Lincoln Financial Field – Tailgate Row. Over the past several seasons spaces in the premium Owl Club lots have seen an increase in demand and as a result there are a limited number of spaces available. Ensure a premium tailgate experience and take the worry out of your game day parking. Access to purchase premium parking begins with a minimum gift of $110 to the Owl Club. For 2018, a limited number of spaces on Tailgate Row have become available and now is the opportunity to reserve your very own spot on the best tailgating row in college football. Tailgate Row is the only guaranteed reserved space and offers front row access to all pregame festivities. Tailgate Row members will have a direct contact with a member of the Owl Club staff to ensure a stress free tailgating experience. Secure your place on Tailgate Row today! Access to purchase Tailgate Row parking begins with a minimum gift of $2,500 to the Owl Club. Call 215-204-TIXX to purchase premium parking. Temple Athletics reserves a limited number of season-long parking spaces for Men's Basketball game days. 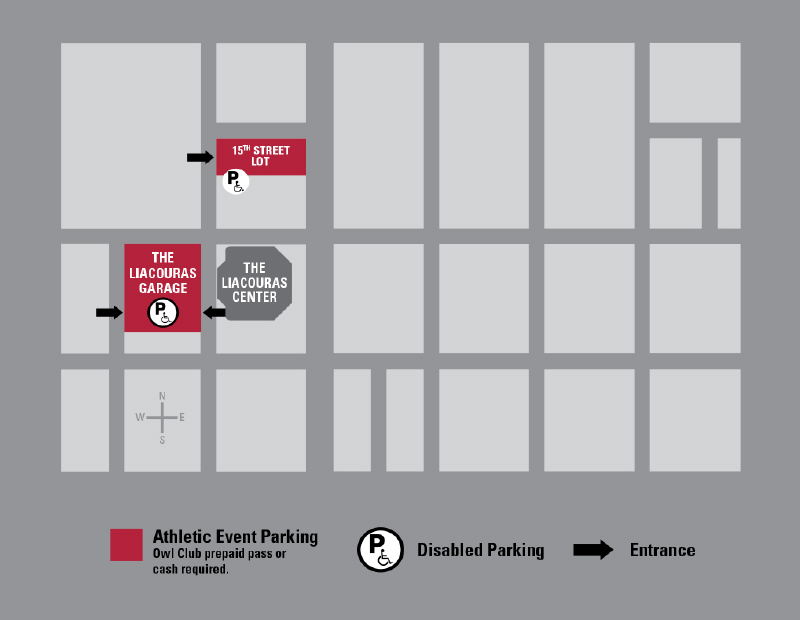 Eligibility to purchase priority parking at The Liacouras Center Garage or Lot #1 begins at the Owl Club $110+ giving level. Priority parking in any one of these locations will be allocated based on donor rank.